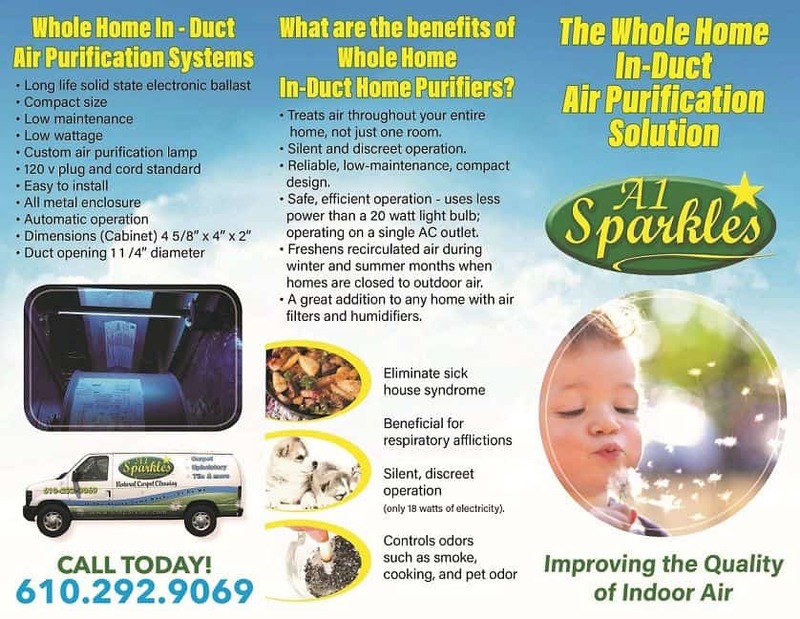 UV Light Air Cleaner System | Natural Carpet Cleaning & More! UV Light Sanitizing Really Works! The perfect way to clean the air your breathe. Strategically mounted inside your dark HVAC system, a UV Light Air Cleaner is extremely effective, safe, and cheap to operate. 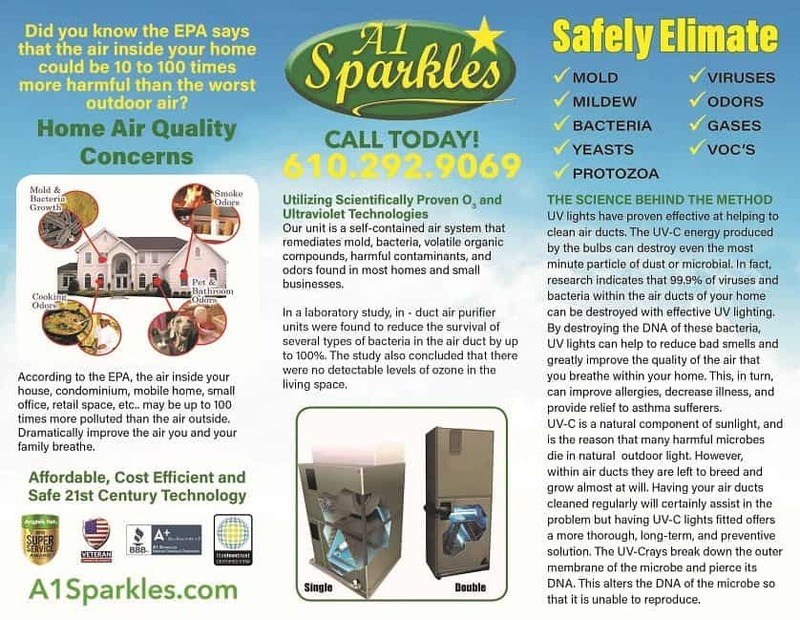 As air is forced into the “kill zone” ultraviolet light silently destroys germs, bacteria, viruses, and mold. No ozone is produced, just the freshest clean air ever. UV Light Purifiers are highly recommended for allergy suffers.